Forbes + CommerceNext: Can Algorithms Replace Humans At Stitch Fix? Technology has slowly infiltrated the retail and ecommerce industry, automating traditionally high-touch areas like customer service. The Stitch Fix algorithms are the heart and soul of the personal styling service. With leadership from a veritable Valley authority in algorithm application, Eric Colson, Stitch Fix boasts the most sophisticated data science team in the land. Our own Veronika Sonsev, Commerce co-founder and Forbes contributor, interviewed Colson 1 on 1 to absorb his algorithm acumen. She learned several ways Stitch Fix is dining out on its data science: logistics, inventory, product design, and more. Using up to 7 different algorithms for the styling process alone, Stitch Fix first starts learning when it information gathers with a customer quiz upon sign-up. Knowing sizes and preferences, the company can begin predicting what sizes and styles it will need for inventory. If the customer has signed up for a subscription, it’s the customer feedback (returns vs keepers) that teaches the algorithms in-depth specifics about customer preferences, so the next boxes inch closer to perfection. Algorithms do more than power machine learning for stylists and operations management. In a very human analytical way, the algorithms begin interpreting style and reading between the lines of customer feedback. 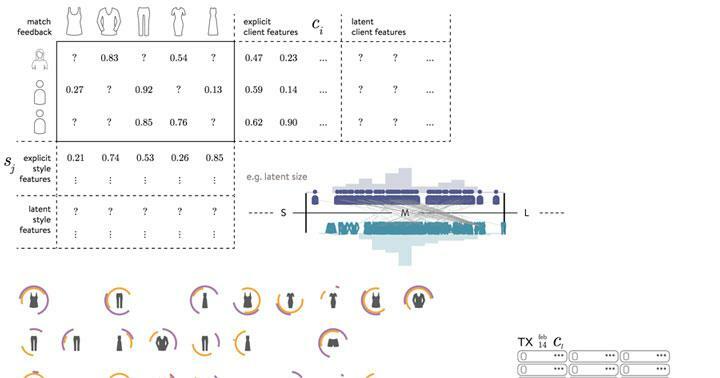 Despite what some customers enter as their style or size preferences, the data science applied corrects incorrect assumptions by analyzing what’s returned and learning exactly what a customer’s selected “style” truly means in the context of her location. Not stopping there, the algorithms act as part of the design team for Stitch Fix’s own label: they interpret what design elements from which items are most popular to create new products missing from the market. This article was originally published in Forbes: Can Algorithms Replace Humans At Stitch Fix? You can also dig in deeper by reading the full article below. CAN ALGORITHMS REPLACE HUMANS AT STITCH FIX? In the high-touch, highly subjective world of fashion, nobody thought computers would ever style customers and predict fashion trends. Yet, the online personalized styling service Stitch Fix made this reality. Stitch Fix clients sign up to receive customized boxes of clothes composed for them by personal stylists who use a digital survey to discern customer fashion preferences. In actuality, a Stitch Fix order (which they call a Fix) is processed by 5-10 styling algorithms before it gets into a stylist’s hands. The Fix is matched to a stylist by an algorithm based on the client’s style preferences and then assigned to a specific warehouse based on another algorithm. The company employs over 85 data scientists to help drive efficiency throughout the company and make the entire process significantly easier and faster for every employee—from stylists to operators to merchants. 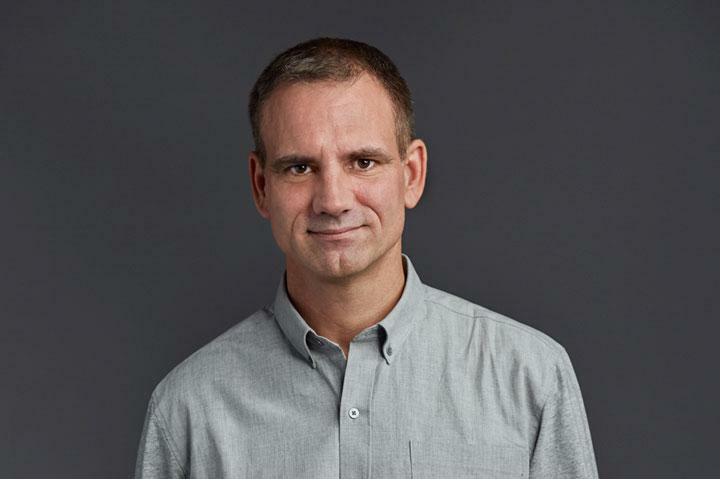 Chief Algorithms Officer Eric Colson led the data charge and his team built out the Stitch Fix algorithms over the last 5 years. Colson left Netflix to lead Stitch Fix’s data science team, where he’s built what’s seen as the most sophisticated data science organization in the fashion industry today. I learned from Colson exactly how Stitch Fix has earned this standing. Veronika Sonsev: Stitch Fix is known as a data-driven business. Aside from product recommendations, how else do you use data to run your business? Eric Colson: We use algorithms pervasively throughout the company. In addition to the 5-10 algorithms used in styling, Stitch Fix has algorithms for logistics, inventory management, inventory procurement, product design, demand estimates, etc. We even wrote the “Algorithms Tour” to show some of the ways we use data. For example, because we’re using data science pervasively, we can anticipate the inventory needs of our clients and buy accordingly. When a client signs up for Stitch Fix, they take a quiz giving us their size and style preferences. Having size, price and style information makes it’s easier for us to predict what we need to order. Furthermore, we predict where the client is in the buying cycle. For example, when clients first sign up, they often have a depleted closet. After receiving several boxes, they become more specific in their preferences. Then, they may reduce the frequency or focus on different types of apparel needs as they use the service over time. We take all this data into consideration for the level of inventory. Sonsev: When determining which products to send a customer, what are some things the algorithms consider? How much of this is automated? How much is adjusted by human stylists? Colson: We consider our algorithms to be composed of both expert human judgment and machine learning. When clients request a Fix, the selection is narrowed down and ranked using a set of algorithms but final selections are always made by a human. The machines do the rote-based calculations. The machines know client’s sizes by brand. They know style preferences and the types of products clients likely keep or return. They essentially narrow down and rank the options for the humans, then the stylists can layer on their judgments on top of those recommendations. The stylists then prepare the Fix based on the holistic context, which factors in trends and the comments or requests left by the client (e.g., “I need more clothes for work”, “I have a wedding coming up in June”, etc.). We can also use data to prepare the stylists to offer better fits overall. Sonsev: Data has the ability to uncover hidden client’s desires and needs. What are some surprising insights you learned when studying your data? Colson: There is a disconnect between what people say and what they do. For example, many clients are confused about their size since it varies across brands. Over time, Stitch Fix learns a client’s actual size based on what is kept and returned. Also, style standards are relative and differ based on where someone lives. For example, “edgy” may mean something different in Utah versus California. We can learn over time what the client’s real style preferences are, regardless of what they say they want to see in their Fix, based on what they kept and returned. For example, someone in Utah may declare that they like edgy styles, but in fact, they prefer classic styles. Sonsev: How are you now using data to create new products? Colson: Our hybrid designs are algorithmically-generated clothing combining the most popular design elements to create a new product. We may use the sleeve of one blouse, the neck on another, and a pattern from a third. We also process the comments from clients and create items missing from the market altogether. For example, for our recent launch of Extras, we kept receiving complaints that our camisoles hit too low on a woman’s chest, so we created a unique camisole design with an adjustable strap. We also got complaints about shirts being too long, so we created a shirt with a shorter torso and broader shoulder length. Sonsev: Data is clearly giving Stitch Fix the edge. Can traditional retailers eventually follow suit? Colson: Consumer expectations have changed. People don’t want to waste time figuring things out for themselves and are starting to expect that products be curated for them. We’re not worried that incumbents will adapt because this level of data collection isn’t inherent to their culture. You have to be data-driven early on. Traditional retailers just don’t have the org structure or value system to support the change required. At Stitch Fix, data and humans work hand in hand. Data helps humans service client needs more effectively and efficiently than ever before while streamlining historically tricky retail operation issues and making it easier for humans to deliver the end products client really want. While data and algorithms will not replace humans at Stitch Fix anytime soon, being a data-driven e-commerce business has given Stitch Fix a significant edge that will be hard for traditional fashion industry players to compete with.